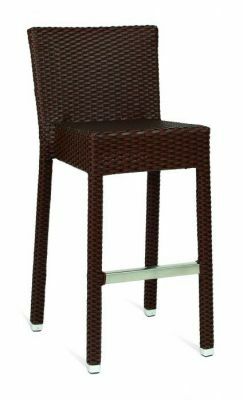 Outdoor high stools available in Brown or Black synthetic leather weave. Held in stock and delivered in 2-3 days. Designed for outdoor commercial use. 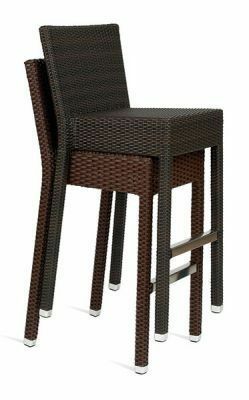 High density outdoor weave stools with back. Stacks in lots of two for better storage options when not in use, held in stock for a free and fast dleivery within 3 working days.